You may not have heard about it yet, but history was made a few days ago at the United Nations. No, we’re not talking about Trump’s rants. Despite the Donald’s skill at dominating the news cycle, years from now, historians and crypto enthusiasts alike will be citing a different leader’s speech as the most significant at the 73rd United Nations General Assembly (UNGA) in New York City. 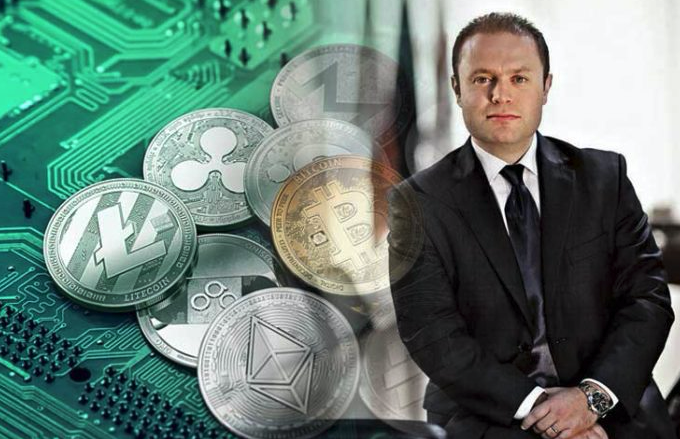 On September 27th, 2018, Joseph Muscat, the Prime Minister of the Mediterranean island nation of Malta, gave one of the most profound speeches in the history of cryptocurrency, fintech, or even just money as a whole. For those who don’t know, UNGA is an annual event where every September, world leaders from each country on earth gather to pass resolutions, decide on the UN’s budget and other mundane things, as well as participate in a tradition called the “General Debate”. There is no actual debating that takes place, however. Instead, presidents, prime ministers, foreign ministers and kings each get to give a speech about a topic of their choice, and how it relates to the UN’s mission of maintaining peace, fostering development and everything else. Most speeches are basically what you’d expect — focusing on climate change, globalization, migration, etc. Prime Minster Muscat touched on all these topics. But he also chose to go in a different direction during his talk; he spoke in front of the entire world’s assembled governments about the power and potential of cryptocurrency. Crypto-related comments begin around 14:20. He went on to described blockchain applications for medicine, government affairs, and more. The prime minster of a country just praised cryptocurrency as not only good, but the inevitable future of how money works in front of the most important gathering of world leaders that exists. Not a hacker or well-meaning tech enthusiast. Not someone schilling an ICO. Not some anarchist in a Guy Fawkes mask pontificating into his web camera. An actual Head of State said this. We wrote last week about how Institutional FOMO is leading investment banks, hedge funds, private equity firms and more to learn everything they can about cryptocurrencies and prepare themselves to buy in as soon as there is more regulatory clarity. That last part is key. A new asset that makes the kind of gains we saw in 2017 is not something institutional investors are going to just ignore. They may spread FUD or trash talk it in the news, but that is all theatrics…they want to invest in cryptocurrency — period. They just don’t want to unwittingly break the law while doing it. What this means is that countries that offer clarity about what is allowed and what is not will put investor’s minds at ease, and those jurisdictions will have enormous advantages over ones that don’t. Malta is one of those forward-looking states that is eager to attract as much blockchain talent as possible, and it’s working. When Binance, Huobi and OkEx are all setting up shop in your country, you’re doing something right. What a refreshing change of pace this is from other governments, who seem to do everything in their power to make life difficult for crypto investors and developers alike. Someday — sooner than any of those shortsighted legislators think — they’re going to wish they had been more open minded. Those laggard jurisdictions will do what they can to change laws and make themselves more attractive to the crypto community. Maybe it’ll work, maybe it won’t. Just as with the advent of industrialization, globalization, and every other paradigm shift in human affairs, there will be winners and losers. Think about what this means in the big picture; we’ve gone from an era where cryptocurrency was dismissed and demonized as weird digital money that only criminals used, to governments actually competing to attract crypto talent to their jurisdictions. That all happened in less than 9 years. Imagine what another 9 years will bring? Things are happening fast, but the good news is there is STILL TIME to get in before institutional money and government attention changes the crypto space forever. Faast is the simplest, most intuitive and frictionless way to not only build a strong and diversified cryptocurrency portfolio, but to manage it as well. It’s a complete, user-friendly ecosystem for building, rebalancing, and gaining valuable, data-driven insights into your cryptocurrency holdings. All in ONE powerful tool. When it comes to building your portfolio the smart way, you can either be far-sighted like Joseph Muscat and get started before the rest of the world catches up, or you can be like one of those other unfortunate political leaders…trying to get in on the game when it’s too little, too late. Try Faast NOW and see what the future of crypto trading and portfolio management looks like.